Brazil shuffled its sports leadership team again Thursday, just 85 days before the games arrive in Rio de Janeiro. 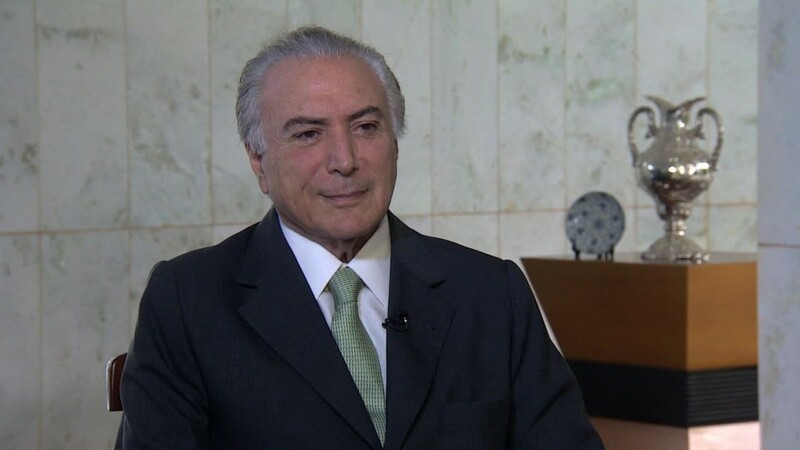 The announcement came after the country's vice president Michel Temer took over as the new president Thursday amid deep political turmoil. The previous President Dilma Rousseff was forced to temporarily resign following a Congressional vote to begin an impeachment trial against her for breaking budgetary laws. Temer got to work quickly Thursday, naming an entirely new cabinet and appointing Leonardo Picciani to be the country's sports minister. He is Brazil's third sports minister since the end of March. Concerns have mounted that the political unrest will leave Rio unprepared for the Olympic Games. Brazil has already struggled to sell tickets and the Zika virus concerns are deterring travelers and athletes. The International Olympic Committee tried to quell international anxiety by stressing that planning for the games won't be influenced much by the volatile regime change. It said in a statement that much of the planning is already done. The Olympics "will be a moment for Brazil to show to the world its determination to overcome the present crisis," the IOC said. However, Brazil's sports ministry has done little to ease international concern. It has been a revolving door of sorts. Sports minister George Hilton stepped down at the end of March after leading it for just over a year. He was replaced by an ally of President Rousseff, Ricardo Leyser. Now Leyser too has been replaced, after a mere six weeks on the job. The new minister Picciani, 36, is a lawmaker in Brazil's lower house of Congress and is based in Rio. The city's mayor Eduardo Paes has spearheaded much of the planning for the Olympics and has said the games will go according to plan. With Picciani's local, Rio roots, his appointment may make sense. Still it's unclear how much influence his role will have at this stage in helping prepare for the games. --Marilia Brocchetto contributed reporting from Atlanta. Aleks Klosok contributed from London.